Only three days after EFF's open letter to HP over the company's deployment of a stealth "security update" that caused its printers to reject third-party cartridges, the company issued an apology promising to let customers optionally install another update to unbreak their printers. That's good for starters, but it's a long way from making up for one of the most egregious abuses of a security update in recent memory. With HP on the run, it's time to push for real, meaningful reassurances and remedies about this bad conduct -- not just to make sure HP does right by its customers, but also to put other companies on notice about the kind of drubbing they can expect if they follow HP's lead. EFF's open letter has more than 10,000 signatures, and there's more flooding in as I type these words. If you haven't signed the letter, please do -- and then tell your friends. 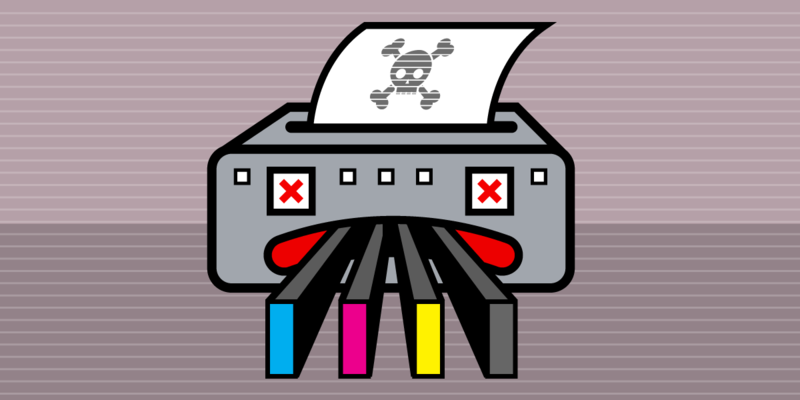 Even if you don't have an HP printer, we all share the same internet with tens of millions of these things, and the last thing we can afford is for HP to be giving its customers reasons not to run security updates, especially as these kinds of devices are being hijacked to perform unprecedented attacks on the net.